Mandy lee Robson LSWPPThis shows the qualification attained by Mandy Robson within the SWPP and associated societies. 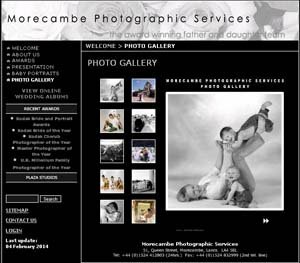 Morecambe photographic is now celebrating 50 years in buisness,Wally Robson took over the studio in 1960 and his daughter, Mandy, joined the firm in 1986. 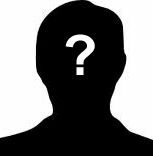 (also known as The Award Winning Father & Daughter Team ,until Wally retired 2 years ago). Mandy now runs the studio with her assistant. Mandy is an award winning photographer and amongst some of her awards UK Millennium (family Category) Master Photographer of the year, Kodak Cherub Photographer of the year runner up and overall winner of Kodak Bride of the year (from 25'000 entries). Her photographs are displayed and appreciated all over the world and she has been featured in a wedding book titled," Wedding Photography" by Jonathan Hilton. Mandy is a qualified photographer being a Licentiate of the Society of Wedding and Portrait Photographers, Licentiate of the Master Photographers Association and Master Craftsmen of the Guild of Wedding Photographers, she is the local Cherubs Photographer and is part of the Click portrait group ,Mandy specialises in baby /Family/Wedding Photography and she also takes Visa /Passport Photographs.